A Bad Co Special with an extra bite. 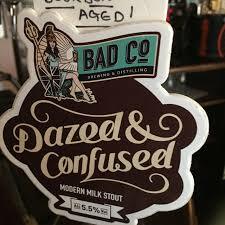 A bourbon barrel aged version of Dazed and Confused. Velvety, creamy delight with smash hits of chocolate, toffee and crystal malts. Complex flavours and surprisingly easy drinking.